"Successfully build and manage your API security in the digital economy"
Managing API security in digital economy provides the capabilities you need to bring systems together, enhancing security and regulatory compliance, deliver better customer experiences faster and capitalize on new opportunities. 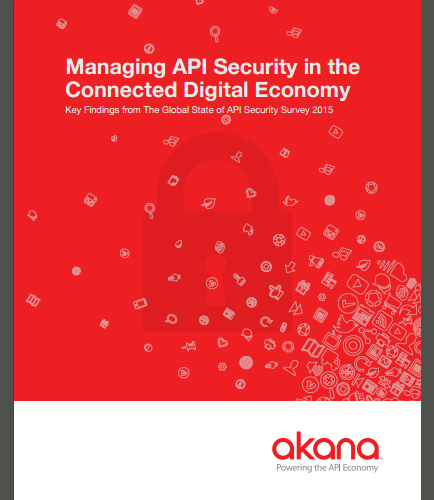 So how can you successfully build and manage your APIs security in the digital economy? What are the major API security concerns? How to ensure secure API use in the enterprise? What are the API security testing tools and methodologies? How to minimize cloud API security risks? Contract risk management approach allows you to gain clever insights into contractual risk exposures so that you can manage them from an enterprise view. Implementing software for contract risk management is now a priority for deriving value from contracts and contracting processes. So, what is the procedure for implementing contract risk management software? What are the most common contract risk management issues? In order to gain clever insights into contractual risk exposures, organizations should implement a 3-step strategy in their contract risk management practices which are summarized below. Assessing the situation for a better understanding of contract risks. Taking necessary actions to prevent contract risks like early termination of revenue contracts and compliance failure. Developing measures for managing contractual risks by tapping into business risk intelligence. Download this contract risk management whitepaper now to learn more about the risks due to poor contract management practices and how to tackle them for deriving values from contracts and contracting processes.